Stir the cream cheese, egg, Worcestershire sauce and hot pepper sauce in a medium bowl. Stir in the Parmesan cheese, crabmeat and chives. 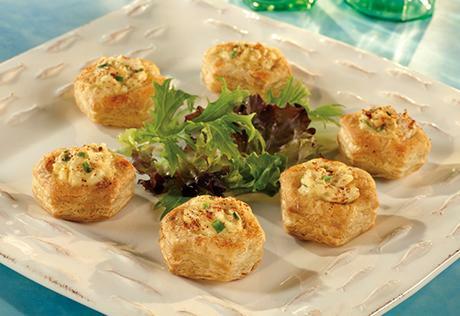 Spoon the crabmeat mixture into the pastry cups. Sprinkle with the paprika. Place the filled pastry cups onto a baking sheet.